A dead glider was found tangled on barb wire in a fence. CSU specialist staff identified the animal as likely to be a Squirrel Glider. 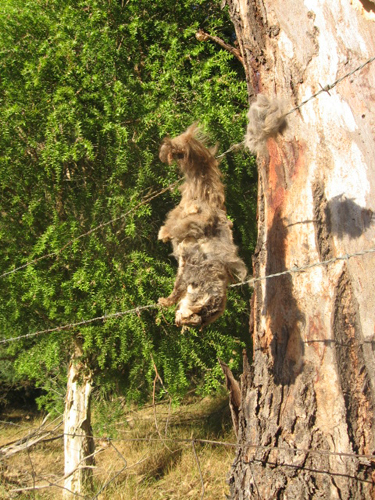 Barb wire is a known major hazard to gliders and cause of a significant numbers of deaths. 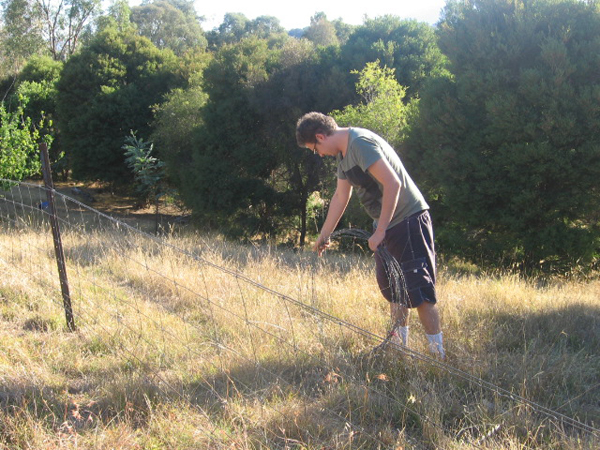 Remove barb wire in a high risk area, and trial covering Barb wire to reduce risk to gliders. Approximately 200 m of barb wire has been removed. 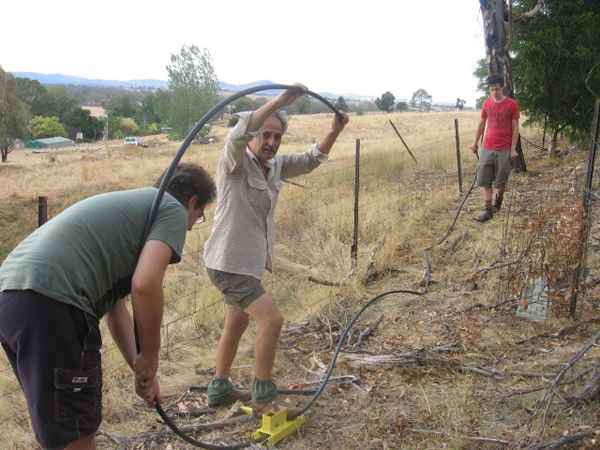 Equipment supplied by Murray CMA has been trialled to cover remaining barb wire at the site where the glider become tangled with poly pipe. Area/areas will be removed/protected at the next Landcare group day.